Primarily plant based supplement specially formulated to aide in combating the symptoms of low testosterone by providing the necessary building blocks for testosterone. Between two and four million men in the US suffer from below-normal testosterone levels, a condition known as hypogonadism. Low testosterone can be caused by many factors, aside from the normal steady decline in testosterone levels with age. Tumors on the pituitary gland (which controls testosterone production in the testicles), problems with the testicles themselves, injury, infection, and being overweight can all cause testosterone levels to drop below normal levels. Excess body fat can also contribute to reduction in testosterone because testosterone is normally broken down in the body’s fat cells. Therefore, carrying extra fat in your body breaks down testosterone more rapidly which could lead to a deficiency. Abdominal or “belly” fat has a greater capacity to convert testosterone to estrogen than other types of fat. Another risk factor for low testosterone is diabetes. A strong relationship has been established between impaired glucose tolerance, which is a symptom of diabetes, and low testosterone levels. It appears that the high blood sugar levels and/or low insulin levels characteristic of diabetes harm the cells in the testicles that are responsible for producing testosterone. A very recent study of men confirmed this finding; the men most likely to be diabetic also had the lowest testosterone levels. 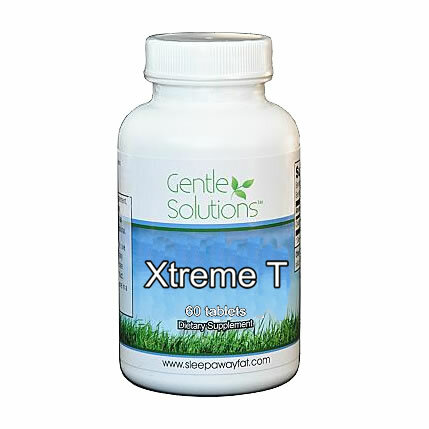 Xtreme Testrone is a primarily plant based supplement specially formulated to aide in combating the symptoms of low testosterone by providing the necessary building blocks for testosterone. Take 1 tablet morning and night preferably with food for increased absorption.